His research interests lie in the area of Communication Systems with a focus on Physical, MAC and Network Layers including developing techniques and algorithms for array signal detection, channel estimation and equalization, adaptive signal precoding, interference avoidance through novel radio resource management techniques, cognitive radio and energy and spectrum optimization techniques. Applications of his research include cellular networks, IoT and Powerline Communications. Emad’s research work has resulted in over 200 journals and refereed conference publications mainly in top IEEE transactions and conferences. Emad has supervised 18 successful PhDs to completion and currently responsible for several more. 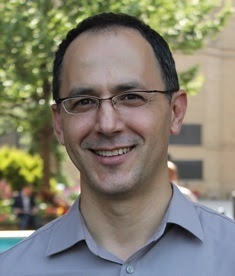 Emad is a senior member of the Institute of Electrical and Electronic Engineers (IEEE, USA), a Fellow of the UK Higher Academy of Education, and has had senior roles in many IEEE functions including TPC Track Chair of a number of conferences such as VTC’16, GISN’16, PIMRC’17 and Globecom’18, as well as the General Co-Chair of the OnlineGreenCom’16 Conference and the UK representative in the International Union of Radio Science. Emad has received a number of awards including the best paper award in the international Symposium on Power Line Communications. He has acted as an external PhD examiner at many universities in the UK and abroad and has been involved in consultancy work for a number of organisations including Her Majesty’s Government Communications Centre (HMGCC), VerazLTD and Northern Consortium UK (NCUK) Group. Emad has acted as the Undergraduate External Examiner at the University of Exeter from 2012-2016 and currently the Undergraduate External Examiner at Sheffield Hallam University and the University of Middlesex. Emad is a frequent reviewer for many IEEE journal and funding organisations including EPSRC, EU H2020, Canadian NSERC, Qatar Foundation in Qatar, KFPUM in KSA and Khalifa Foundation in UAE. His research work has attracted funding from both government organisations (EPSRC & EU, Northwest Development) and industry including Philips, Alstom, Agilent, IP Group and UMIP. Emad has also been a member of major industrial telecommunications consortia such as MobileVCET (2000-2003) and GreentouchT (2010-1015) focussed on the development of next generation communication networks which include many of the key players in the wireless industry such as Bell-Labs, Vodafone, Hawaii, Nokia-Siemens, Alcatel-Lucent, and many others.